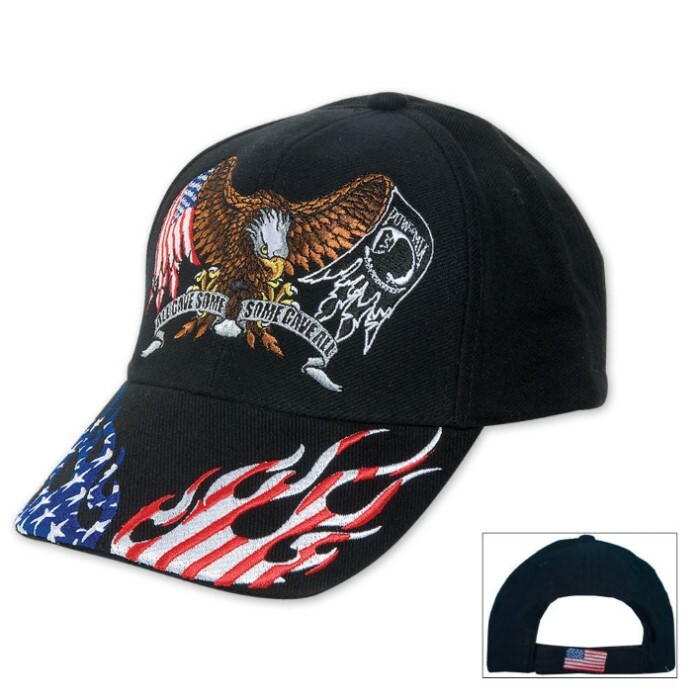 This black baseball style cap offers full color embroidered appliquÃ© design on front with adjustable velcro strap. 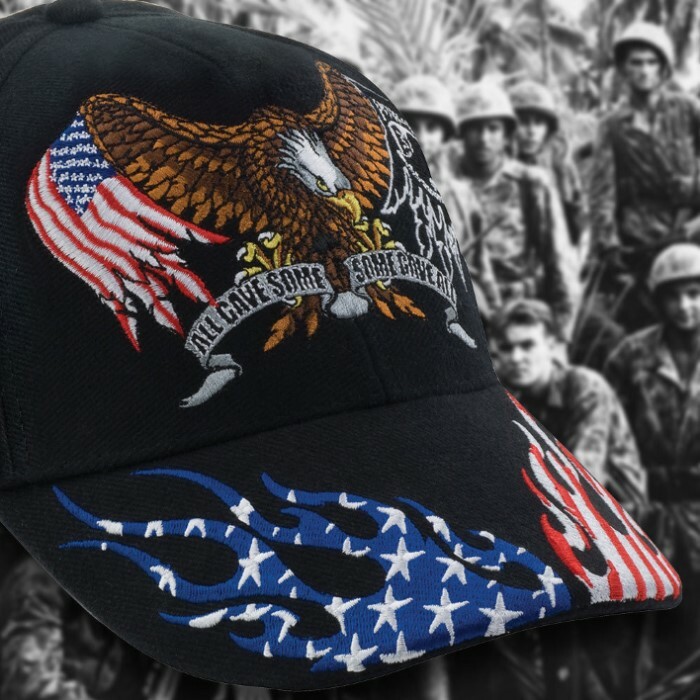 Love this cap, my husband likes (and wears) it, my son likes it (but I didn't get one for him). My husband has worn this cap many times since we got it, and has many comments (good ones), regarding it. I thought it was only a military "slogan" but my son told me it was a POW slogan. In any case, we all like this cap very much, quality is great too. Would recommend to anyone who cares, and appreciates the military for choosing to give their "all" for all Americans!